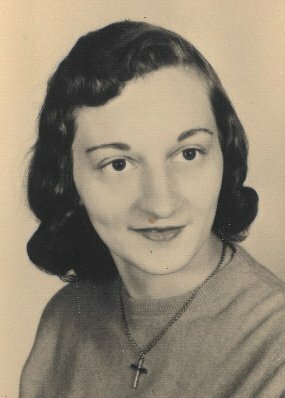 Janet E. Freeze, 82, of Green Springs, OH passed away on Monday, February 11, 2019 at Bellevue Hospital. She was born May 26, 1936 in Fremont, the daughter of Joseph and Hazel (Hoffman) Binder. She attended St. Joseph High School. 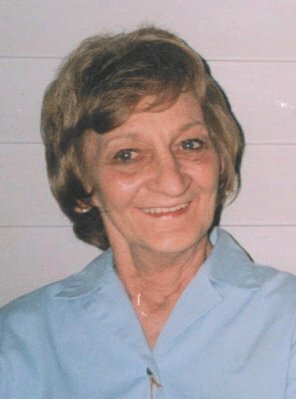 Janet was a homemaker and worked in food service at St. Francis Rehabilitation Center in the dietary department at Green Springs. She was a member of Clyde VFW Aux and Green Springs American Legion Aux. She enjoyed spending time with family and friends, crafting, reading and crossword puzzles. Janet is survived by her children, Gary A. (Brenda) Freeze, Republic, OH, Kelli Christeas, Green Springs, OH and Ty H. Freeze, Tiffin, OH; siblings, Marilyn Miller, Green Springs and Diana Binder, Fremont; grandchildren, Scott Freeze, Crystal Gulick, Nicole Freeze, Chad (Rebecca) Freeze, Tiffani Christeas-Allen, Erin (Isaac) Strickler and Brett Fitzpatrick and fifteen great grandchildren. She was preceded in death by her parents; former, husband, Gary Freeze; brothers, Joseph, Robert, Richard, William, Gerald, Raymond and Kenneth Binder; sisters, Rita Sloan, Norma Price, Mary Binder, Delores Orndorff, Barbara Drown, Audrey Papia-Fredrick and Judith Angelone. Visitation: Sunday from 2 to 6 p.m. at Horvath Hanes Funeral Home and Crematory, 211 N. Broadway St., Green Springs, OH. Service: Monday, February 18, 2019; 11:00 a.m. at the funeral home. Diana, so sorry to hear of the passing of Janet. God bless you and your family especially at this difficult time. You are in my thoughts and prayers. My heart goes out to the entire Binder family. You are the strength in this family, keep strong my dear friend. Diane and Marilyn I was so sorry to see the loss of Janet. So sorry for you and your family! My deepest sympathy to Janet’s family. I had the privilege to get to know Janet when we worked in the dietary department at St. Francis in Green Springs. I feel so bad that I didn’t get up there to see Janet, the weather has been so bad. I live in Col.Oh. now. Janet & i were friends since we were little, even after i moved away, we always wrote letters untill Janet couldn’t see anymore. We kept up with what was happening in our families. I would stop and see her on my way to my sisters houses, but now all i have left out of 4 sisters is Jeanne Michaels Hayse, who lives beween Clyde and Fremont. To the family, I am so sorry for your loss. May she rest in peace. Maybe we can be neighbors in heaven some day, Love, Ruth Michaels Keels Thanks to Diane for keeping me informed. Keep in touch.